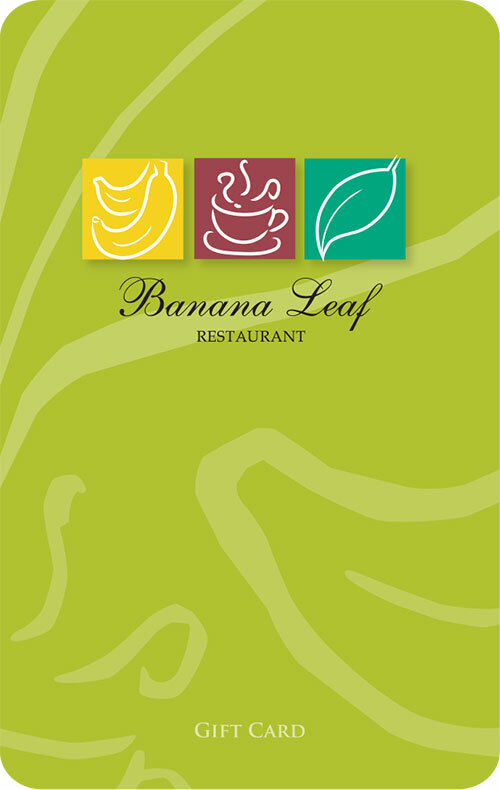 We are proud to offer Banana Leaf Gift Cards to our customers. 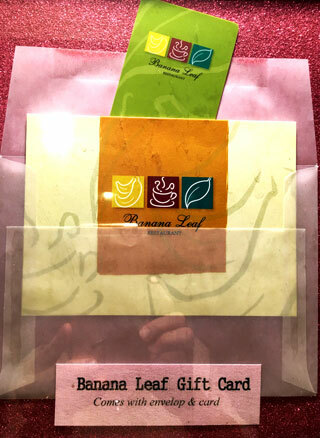 These may be purchased and given to your friends, family, and associates to be redeemed at our restaurant. Each Gift Card includes an envelope and holiday card. or call in your credit card order and we will mail it for you.